Each of our themes has been crafted with extreme passion and dedication. 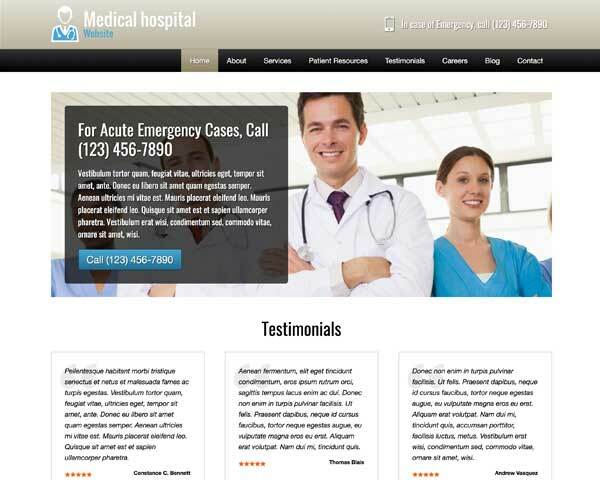 This Medical Center WordPress Theme is no exception. 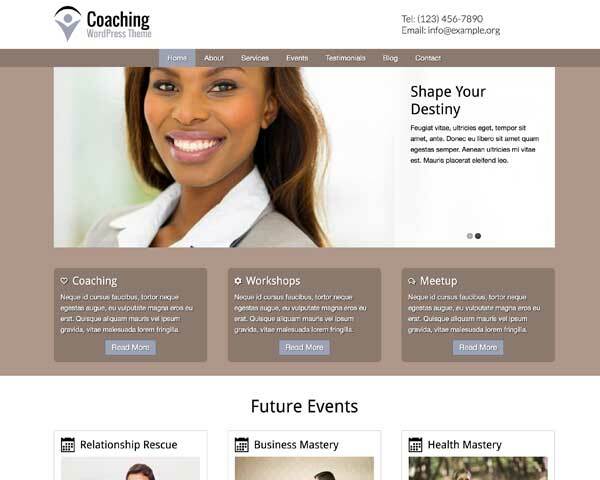 For the health center industry this theme should exude an air of professionallism. 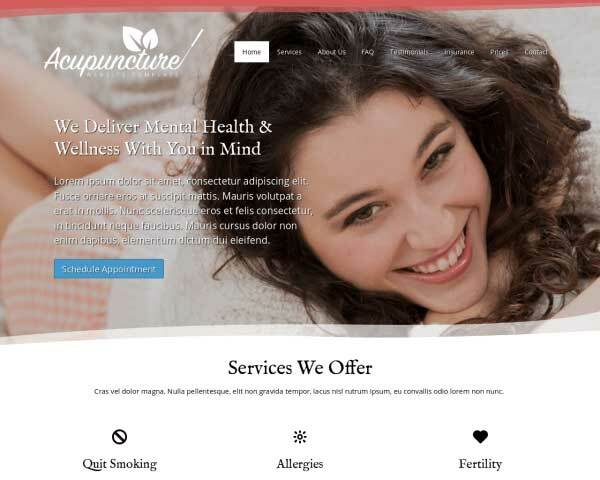 While at the same time boasting a design and layout which acts as the perfect base to create your own health center website. health center businesses are built with personal style, vision, and standards of quality in mind. 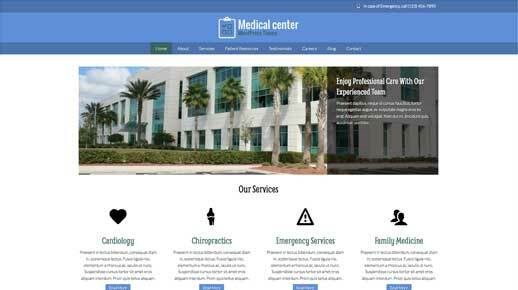 The Medical Center WordPress Theme helps you build a professional website that reflects the unique experience of your services. 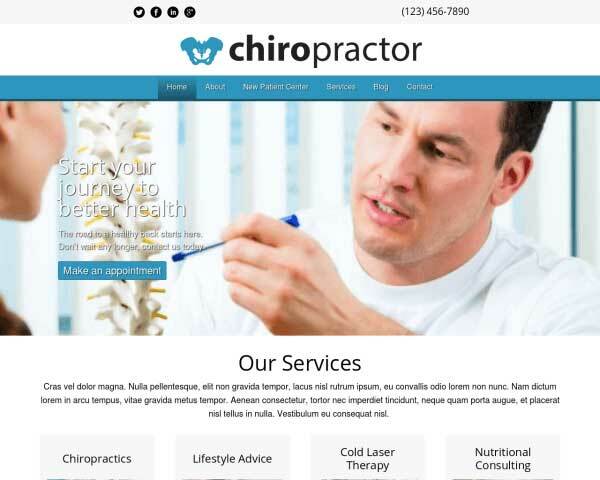 All you need to do is drop in your own text, logo and photos to have your health center website online today! Choose your color scheme and add additional features and content with our powerful and intuitive front-end editor. Your website will display your personalized look and feel, fully-responsive and easy to navigate, with no coding required. 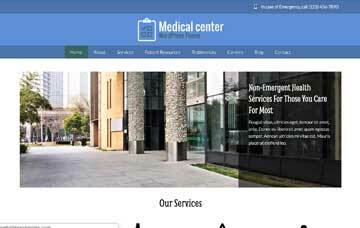 Our Medical Center WordPress Theme is ideal for large and small health center companies who want to present a high-quality online picture of their services. 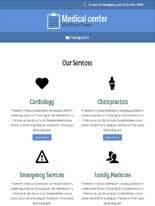 On every page of this WordPress theme for medical specialists, visitors are encouraged to take action and get in touch. Mobile visitors can just tap on your phone number to dial. 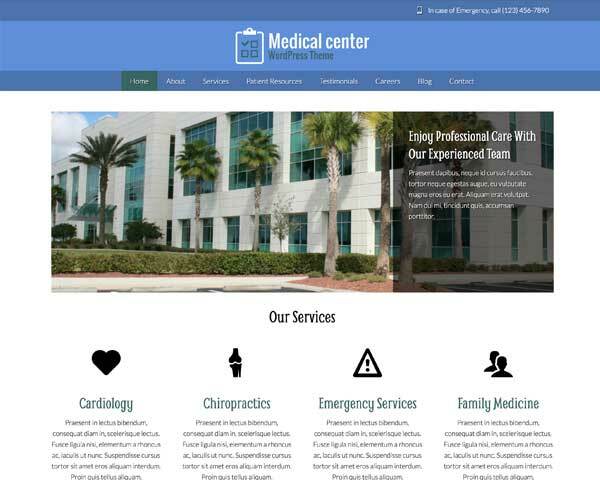 The Medical Center WordPress Theme allows you to attract more customers with the theme's pre-built service pages, you get all of this in an easy to use template. 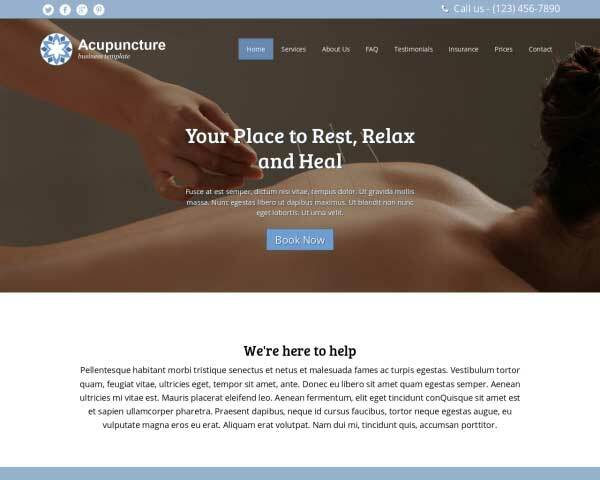 No extra plugins are required to display sharing and following icons for the most popular social media platforms with the Medical Center WordPress Theme. The Careers page is set up for you to list staff vacancies and offer employment information for those interested in working at your health center. Looking great from any angle takes good luck and good lighting. 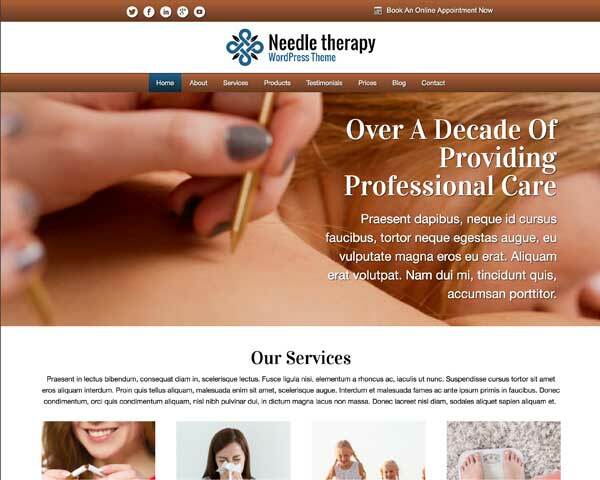 Building a website that looks great an any screen size takes solid mobile-optimized web design, and that's just what you get when you start with our responsive Medical Center WordPress Theme. 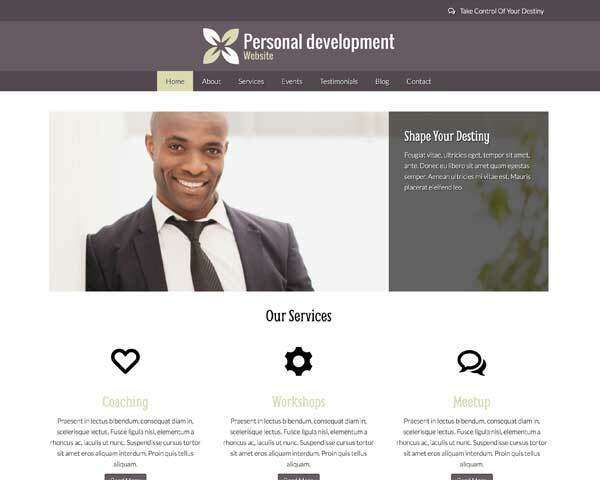 This website template will automatically adjust the layout of your content to display beautifully on any handheld device. Add photos, galleries and videos without every giving a second thought to the mobile version of your site. Visitors using smartphones and tablets to browse your pages will enjoy the same professional look and functionality of the desktop version.